When Metro Councilor Carlotta Collette announced last year that she would resign her position in preparation for a move to Corvallis, four applicants threw their hats into the ring for an appointment to serve out the remainder of her term. 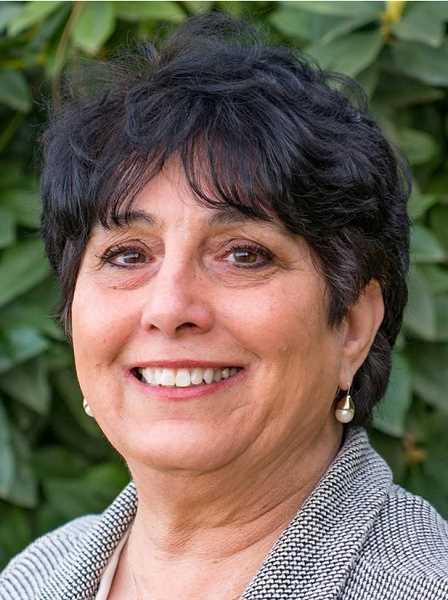 Former Oregon City Commissioner Carol Pauli and Lake Oswego City Councilor Joe Buck both announced in November that they would seek the appointment to represent District 2 of the regional governing agency; Oak Grove resident Betty Dominguez and West Linn resident Christine Lewis joined the race in January. Dominguez was chosen last month by Metro councilors to fill the seat, but all four candidates will now face off again for a full term — this time in the primary election that is scheduled for May 15. If one candidate secures at least 50 percent of the votes in the primary, they will win a full term that begins at the start of 2019. If no candidate receives a majority, the top two finishers will face each other in a runoff during the November general election. Housing and transportation issues have been central issues in all four candidates' campaigns, but each one brings a unique mix of community involvement and local priorities to the race. A native of Lake Oswego, Joe Buck says his commitment to public service began at an early age when he helped out at Gubanc's, his family's restaurant. Buck received a degree in business administration from the University of Portland and served in the U.S. Coast Guard before eventually taking over the operation of Gubanc's. He later opened a second Lake Oswego restaurant, Babica Hen Cafe. His first foray into government came in 2012, when he says he decided to run for the Lake Oswego City Council in order to be a voice for the Lake Grove area when a long-planned upgrade to Boones Ferry Road couldn't seem to get off the ground. "We — the Lake Grove community, neighbors and businesses — were really having a difficult time with how our city council didn't see the needs of the district," he says. Having now served nearly four years on the council, Buck says he discovered a passion for local government and wants to continue to be a voice for the small-business community at the regional level. Buck, 37, says his experiences both as a restaurant owner and a city councilor will make him a leader who can bridge the gaps between communities and forge a consensus among diverse groups. His campaign has focused on the issues of affordable housing and transportation, unified by the goal of enabling people to live in the communities where they work. It's an issue with which he says he has firsthand experience — his restaurants are located in an area with poor public transportation and high home prices. "We're clogging our streets by pushing everybody outside of the metro area," he says. "Growth without planned transportation improvements to accommodate it is basically what's been happening for all these years." Buck also says he wants to fight to make sure Clackamas County doesn't get left behind as the region pushes to ease traffic bottlenecks. He says he will advocate for several projects, including widening I-205 near West Linn, expanding the Sunrise corridor in Happy Valley and building a bike/pedestrian bridge between Lake Oswego and Oak Grove. "Clackamas County is well known as the stepchild of the region," he says, "and so it's imperative that my voice is very strong in advocating for the needs of our communities here." about their role in the region, he says. Betty Dominguez's primary campaign focus has been on housing, but she says her ultimate goal is to address poverty. That demands action on multiple fronts, she says, beyond simply making sure people have affordable places to live. "Otherwise, you're just warehousing people, and you don't want to do that," she says. "You want to help them succeed." Dominguez, 65, says the Metro position is her first foray into elected office, following a career in which she focused on being, as she puts it, "a behind-the-scenes change agent." But she says she was urged to run by Milwaukie mayor Mark Gamba and other officials, and ultimately decided to register in early January. The appointment has felt like a natural extension of her work in housing support, she says. Dominguez currently works at Home Forward, a Multnomah County affordable housing agency. The agency's mission goes beyond just housing, she says, to include issues like access to food and employment and providing educational opportunities and vocational training for the children of the families currently living in the agency's houses. "I don't want them to be my next generation of renters," she says. Dominguez says she empathizes with the pain and difficult choices faced by those in poverty, because she struggled with those factors herself as a single mother of two daughters during the 1980s. "Usually when I ran out of money, it was the utilities that had to go," she says. Dominguez grew up in San Diego and moved to Oregon in 1996. She had prior experience working in the housing development industry, but she became focused on affordable housing in the Portland area and has remained in that field for the rest of her career. She was already involved with Metro before the race, having spent the past two and a half years as a Clackamas County citizen representative on Metro's MPAC board, which included participation in Clackamas County's Coordinating Committee. "I've already been at the table on issues that are really important right now," she says. Dominguez says she plans to retire from Home Forward at the end of the year, so if she wins a full term, the Metro council role will be her full-time job. That will put her in a position to conduct more community outreach on behalf of the agency, she says, particularly if Metro moves forward with a general obligation housing bond. Christine Lewis says her campaign is focused on affordability, especially for housing and transportation. She says she was approached about possibly running for the seat when Colette's departure plans became known, but finally decided to jump into the race in January because the transp-ortation issue in particular hadn't been getting enough attention. Although she's never held elected office, Lewis says she'll be able to draw on her broad history of work for multiple government agencies in order to effectively bring together groups of agencies and constituencies. 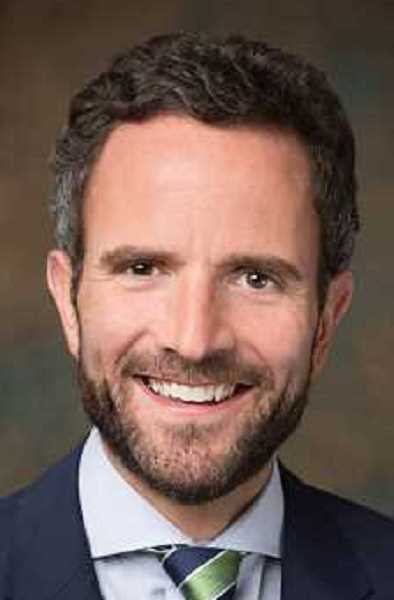 Lewis, 33, currently serves as the legislative director for the Bureau of Labor and Industries (BOLI), as well as the chair of both the Clackamas County Vector Control District Budget Committee and the West Linn Historic Review Board. 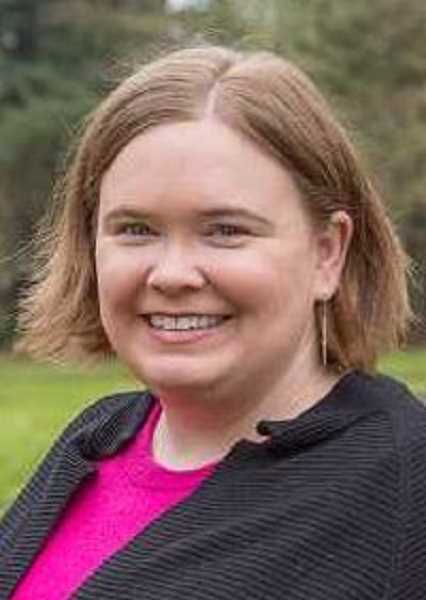 She also served as a senior associate for the City of Portland Office of Government Relations from 2016-17, as a policy director for Multnomah County from 2014-15 and as assistant legislative director for the Office of the Speaker of the House in 2013. One of the best examples of the congestion currently faced by the region, she says, is in her own neighborhood near Willamette Falls Drive in West Linn. The community is routinely slowed to a crawl during rush hour when drivers attempt to bypass traffic on I-205 by getting off at Stafford Road and driving through on Willamette Falls, she says. The issue also illustrates the ways in which local communities have been shut out of discussions about regional planning, Lewis says. "The conversation has been, 'What happens if we toll? How do we prevent diversion?'" she says. "If you bring community voices forward, you'll find that's the wrong question. We already have diversion — what do we do about it?" She also puts a strong focus on the environment and making sure that local cities all have access to their own green spaces and open areas. Metro is well-positioned to handle regional environmental challenges, she says. "There are a lot of ecosystems that converge in District 2," she says. "But in particular, when Metro goes to the ballot and asks for support for parks, there's sometimes the critical question of how do these funds make it into local communities, and local community parks and natural spaces." A fourth-generation Oregonian and former Oregon City commissioner, Carol Pauli says she was inspired to seek the Metro seat in part by her past work collaborating with Collette. Both officials were founding members of the Willamette Falls Legacy Project Partners group, and Pauli says that working with Metro on the falls and other projects — such as the planned redevelopment of the former Blue Heron Paper Mill — gave her an appreciation for the importance of partnerships between local agencies. Local governments in District 2 too often operate in separate silos, she says, and she wants to help Metro serve as a coordinator. "I decided to run for Metro Council because I believe that through thoughtful planning support and partnerships with our cities and counties, we can keep this a great place as it grows," she says. "I've demonstrated dedication to the livability of our community at the local level, and I'm ready to roll my sleeves up and get to work at a regional level." Pauli, 51, and her husband moved to Oregon City in 1996 and lived there until 2016. She says her initial community involvement began by forging connections with her two children's schools, but it gradually expanded. 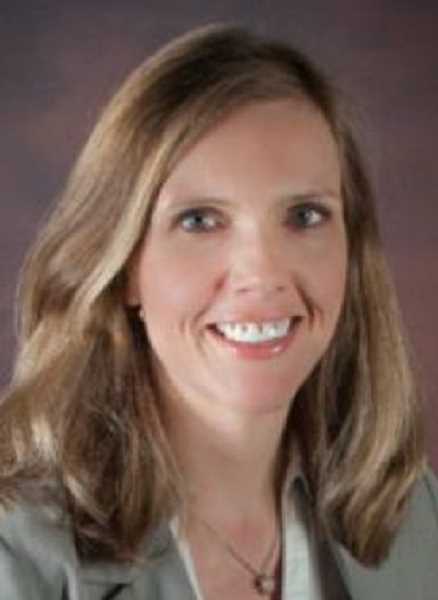 She was appointed to the Oregon City commission in February 2012 following the recall of Commissioner Jim Nicita, and was elected to a full term later that year. She now lives in Oak Grove but remains active in community organizations, including the Willamette Falls Heritage Area Coalition nonprofit. Her campaign has focused on the issues of housing and transportation, but Pauli has also emphasized the importance of jobs and local economic development, and says that District 2 stands out because of its untapped potential. Pauli served on the committee that helped revitalize Oregon City's main street, and she says the results were highly beneficial to the city's economy — a success story that she hopes can be replicated elsewhere in the region. "District 2 has a lot of untapped Main Street core areas that are big economic drivers," she says. "They can be great incubators for businesses." Pauli says Metro covers a wide range of services, including parks, transportation, waste management and events. But they all fall under the broad umbrella of livability issues, she says, and that has been the major driver behind her community involvement.